adidas today unveiled brazuca, the official 2014 FIFA World Cup Brazil™ match ball. The ball was revealed with a spectacular 3D light projection launch event held at the iconic Parque Lage in Rio de Janeiro. brazuca was named back in September 2012 following a public vote in Brazil involving 1 million football fans; the name "brazuca" is an informal local term which means "Brazilian", or to describe the Brazilian way of life. The colours and ribbon design of the ball panels symbolise the traditional multi-coloured wish bracelets worn in the country (fita do Senhor do Bonfim da Bahia), in addition to reflecting the vibrancy and fun associated with football in Brazil. brazuca went through a thorough testing process over a two and a half year period involving more than 600 of the world's top players and 30 teams in 10 countries across three continents, making it the most tested ball ever by adidas and ensuring that it is suited to all conditions. Clubs involved in testing included AC Milan, Bayern Munich, Palmeiras and Fluminese. Players involved in the process included global football stars Leo Messi, Iker Casillas, Bastian Schweinsteiger and Zinedine Zidane. 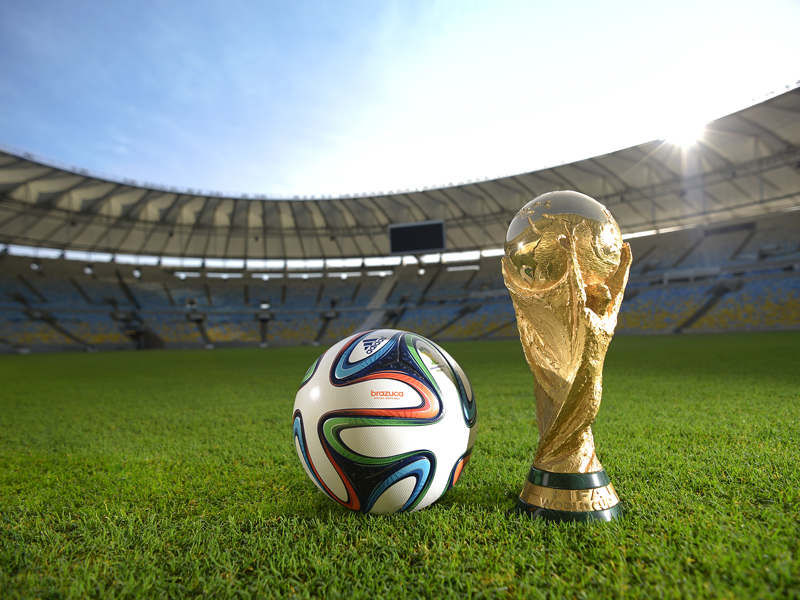 The technology incorporated into the bladder and carcass of brazuca is identical to the Tango 12 (UEFA Euro 2012™), Cafusa (FIFA Confederations Cup 2013) and the ever popular UEFA Champions League™ Official Match Ball. However, a new structural innovation with a unique symmetry of six identical panels alongside a different surface structure will provide improved grip, touch, stability and aerodynamics on the pitch. brazuca has been thoroughly tested to meet and exceed all FIFA metrics for an official match ball, ensuring top performance for every condition. adidas has called on players and fans to "Love Me or Lose Me" with the unveiling of brazuca as part of its "All In or Nothing" World Cup campaign. adidas is launching @brazuca on Twitter, where fans will be able to track the build-up to the FIFA World Cup™ in Brazil through the eyes of the ball as it travels the world and offers an alternative take on the game. brazuca will visit footballing nations, meet players and celebrities, and take part in major cultural events before landing in Brazil for the first game in June, and will be tweeting all the way. Brazilian star Dani Alves said: "My first impression of brazuca is of a ball that is fantastic and we're going to have a lot of fun with it. adidas has created an incredible-looking ball fitting for a tournament as big as the FIFA World Cup. Most importantly it plays well on the ground and in the air. I'm sure all the players will love it. It's increased my levels of excitement even further and I honestly cannot wait for the opening game!" FIFA World Cup™ winning Spanish captain Iker Casillas said: "brazuca has a stunning design that feels inspired by Brazil. Now the ball has been launched the tournament feels a lot closer. I'm looking forward to playing in Brazil with a great ball. Hopefully with brazuca we can get the same result as in 2010." The launch of brazuca marks the next phase of adidas' "All in or Nothing" 2014 FIFA World Cup Brazil™ campaign, following the launch of seven national federation FIFA World Cup™ kits and the Samba Collection, a Brazilian-themed football boot collection. The FIFA World Cup™ is the world's largest football event and the ultimate platform for the adidas state-of-the-art apparel, hardware and footwear. adidas has made every FIFA World Cup™ ball since 1970, and recently extended the partnership with FIFA until 2030, including the supply of the official match ball. brazuca is available to purchase globally from today (December 4th) in selected adidas retail outlets, associated stockists and via www.adidas.com/worldcup. Join the adidas football conversation at www.facebook.com/adidasfootball or on Twitter: @adidasfootball #allin or nothing.